A traditional cloth bound Cheshire that matures to a delightful crumbly texture and offers a rich, clean flavour in the mouth. The unique quality of Cheshire cheese is said to emanate from the pastures which lie over the heavy salt deposits underlying the area of the Cheshire / Shropshire border around Whitchurch and Nantwich. The cattle grazing there have been found to have an unusually high salt content in their milk and this quality is carried through in the resulting cheese. Our example of the cheese is Appleby's Cheshire. Farming and cheesemaking have been a way of life for the Appleby family for several generations. The cheesemaking process hasn't changed much since Appleby’s cheese was first made at Hawkstone Abbey Farm in 1952 and the Appleby family are the only remaining producers of real calico bound traditional farm Cheshire cheese; made from their own unpasteurised milk and then matured on the farm. Hawkstone Abbey Farm is a family-run dairy farm where the focus is on producing milk to make Appleby’s cheese. The approach to farming balances milk production with careful stewardship of the surrounding countryside. The combination of fine pastures, quality unpasteurised milk, the skill of the cheesemaker and the art of maturing gives Appleby’s cheese its unique texture and flavour. The family work closely with Garry Gray, a dedicated cheesemaker, highly experienced and skilled in the art of cheesemaking. The ingredients simply consist of unpasteurised milk, starter culture, rennet, salt and annatto. A committed team work with quality ingredients and carefully monitor timing, temperature and acidity to create a consistently high quality product. Expertise is essential to work with constant variations during the seasons which have subtly impact the core ingredient; Appleby’s milk. Before the Second World War, Cheshire cheese accounted for 60% of all cheese sold in the UK and even in the 1950s the figure was 45%. It was during the 1950s and 60s though that its popularity was overtaken by Cheddar, due in part to the advent of pre-packing to which cheddar is more suited. In 1930, approximately 1200 farms made Cheshire cheese but by 1939 that number had reduced to 400, and by 1945 just 50 farms remained. 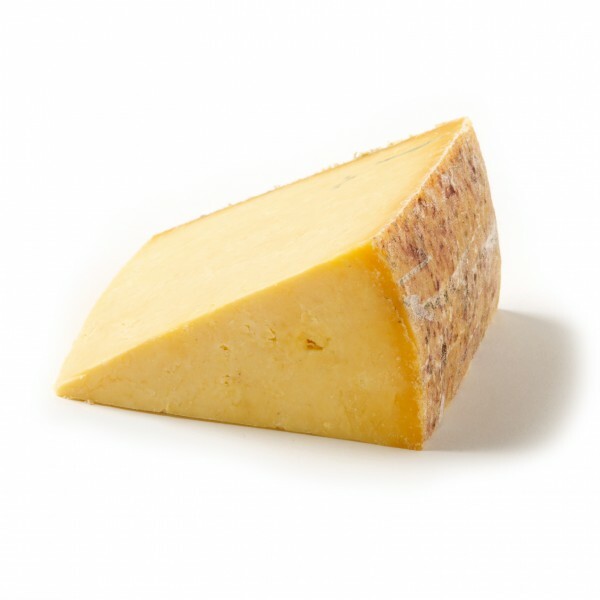 Cheshire cheese is made by scalding the curds, at a lower temperature than cheddar, to retain some moisture creating a crumbly textured cheese. Once the curd has been cut, drained, milled and salted it is often left overnight before being pressed. This not only allows the moisture to naturally drain through the cheese, but also creates a more open textured cheese. Cloth is applied to the surface of the cheese after pressing. The texture of Appleby's is moist and crumbly. The flavour is clean and zesty on the tongue followed by a rich mouth-watering finish, which continues to linger. Appleby’s Cheshire goes particularly well with fruit cake, figs or dates, as the acidity complements the sweetness of the fruit. Our Fig Balls are the perfect match for Appleby's Cheshire.